It was a historical moment for the country and one which every Fijian should be proud of when Prime Minister Voreqe Bainimarama assumed the COP23 presidency earlier this month. The meeting in Bonn, Germany ended on a high note last weekend. 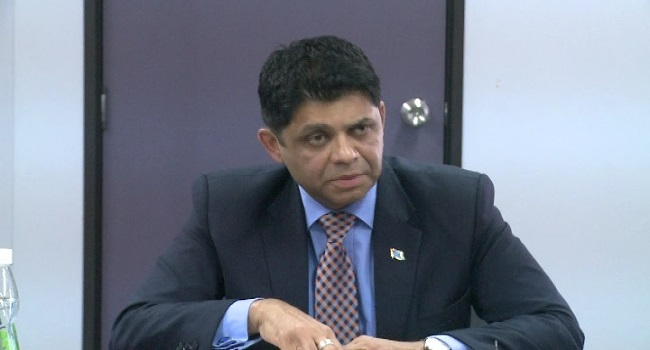 Minister responsible for climate change Aiyaz Sayed-Khaiyum says more funding has been secured for climate adaptation and global partnerships have been launched to provide millions of climate vulnerable people affordable access to insurance. He adds Fiji is now a global leader and has accomplished more than what state parties had expected. Sayed-Khaiyum has also slammed critics that are opposing the work done at the COP23 adding these are only political points. Sayed-Khaiyum adds the COP23 achievements has made Fiji a global leader. Meanwhile, a small traditional welcome ceremony has been planned for the COP23 delegates in Suva this morning.